Women's barbershop started in New Zealand in Wairoa. Patti Cooke had recently moved to Wairoa from the USA and in September 1981 hosted a meeting of women interested in singing barbershop. That same year Jan Smith formed a quartet to sing in a local concert. Wairoa Chorus was the first to charter in 1985 (chartering is becoming an official member of Sweet Adelines International). 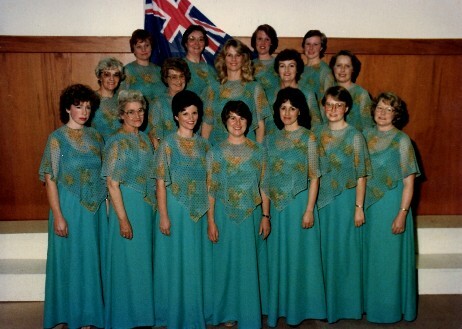 From the small beginnings in Wairoa in 1981 to now we have just under 700 members throughout New Zealand in 15 Choruses. There is more information on our growth and achievements for you to browse through on the sidebar on the right. Happy reading.